We got to see John Hodgman and Monte Belmonte at the Shea Theater this past Friday! It was very nice. There was a lot of very good audience interaction and Monte was a fun interviewer. It’s weird seeing a famous person make in-jokes about very local things. We’re sad that John Hodgman is moving toward more time in Maine but we’re glad he has a lot of good stories about the wonderful Pioneer Valley! Also! 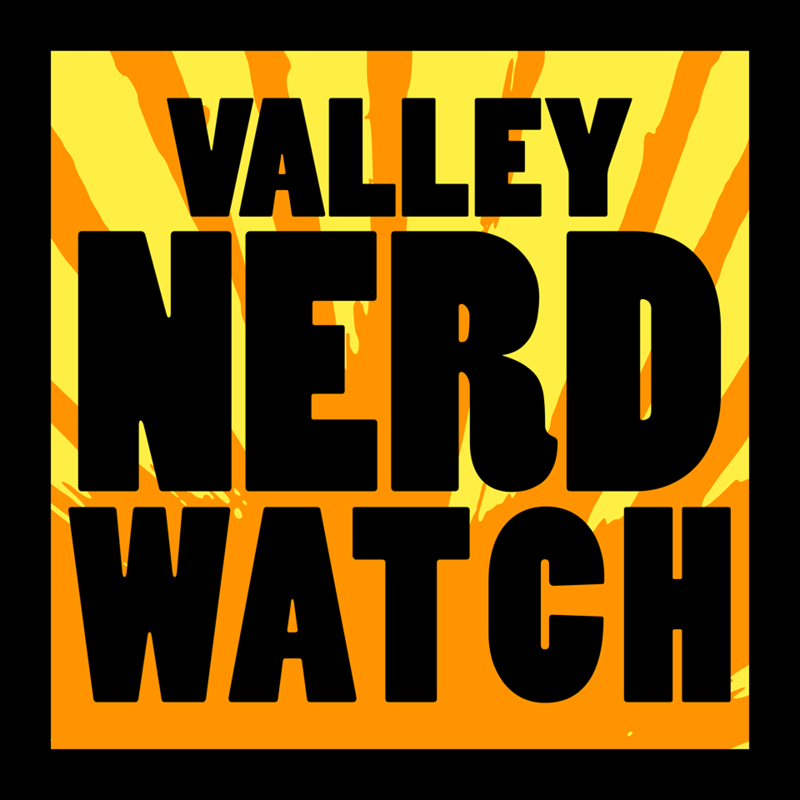 Check out Nerd Nite this week! We are 100% positive that the presentations will be excellent this month. It’s 7:00pm – 9:00pm at the World War 2 Club, 50 Conz St., Northampton! Local writer and veteran Eric Wasileski will lead a writing workshop! Military veterans and their families are very welcome, though the event is also open to the public. Warrior Writers works to build a community that allows for artistic expression and helps people witness the full range of military experiences. From the producers of A Quiet Passion, a 2016 film about Emily Dickinson, comes a documentary narrated by Cynthia Nixon! Spend some time getting to know a spectacular local talent better! Listen to the first reading of Dara Wier’s new book ‘In the Still of the Night’ by both Dara and poet and artist Bianca Stone. As they read, the planetarium will display the starscapes of the nights of Emily Dickinson’s birth and death! Which like, we didn’t realize we wanted to happen for us after we die but now we really want it to happen for us because it sounds really cool. We’ll need to get way better at poetry before that happens though we suppose. The poet-artists in ‘Of Soil and Tongues’ will discuss and perform their work! And they will also make you think of a really weird mental image whenever you read or hear their name! For about 14 hours, all of Emily Dickinson’s 1,789 poems will be read out loud in the home and landscape where she wrote them! Everyone can help out too, no need to sign up if you’re an individual but larger groups should email edmprograms@emilydickinsonmuseum.org! Poet, essayist, and person forced to live in the scenic trails of New England David K Leff will teach some nature poetry! Lively readings, discussion, observation of nature, sharpening of the senses, the ability to speak to the Ents and learn their secrets, all the necessary parts of becoming a good nature poet! How do you go about figuring out how to make a real physical book look and feel nice to read? Readers like books that are cool, how do you use artwork and the physical aspects of a book make the end product more than just a printout of the text? Poets, writers, book lovers, art lovers, bookmakers, and generally nice people from Slate Roof Press will discuss and showcase the work of local artists and bookmakers! Jennifer Firestone has written a bunch of books and poems and so has Marisa Cawford and they’re both from Brooklyn, the Cool Place, and they’re going to read poems and we’re going to assume the poems will be really excellent. Kaveh Akbar writes poetry that appears in a ton of places and is the recipient of a lot of prizes. He was born in Tehran, Iran, and begins teaching at Purdue University in the fall! Sahar Muradi is a performer, writer, and educator who was born in Afghanistan and raised in the US and has written a ton! Also we want to make this clear: dearly believes in the bottom of the rice pot. Deeply! Amherst Poetry Festival | Poetry Festival Party! It’s a party! Celebrate the literary legacy of Amherst with a bunch of friends and the featured readers! Music! Foods! Fun! It’s a party! Delightful! Write poetry in a nice garden with your pals! All prompts will be related to Dickinson’s poetry or life, and led by children’s author and museum tour guide Burleigh Muten. Children need to be accompanied by an adult! The jubliat/Jones series involves six readings at the Jones Library! They’re followed by a Q&A with the poets, and all readings are free and open to the public! The second part of an exploration of the more personal and specifically local language of Dickinson! Learn to better appreciate your most famous local poet! Learn how to make a wonderful wrap bracelet or charm bracelet! This is geared toward adults but you can bring a kid if you’re going to help them out with the creation process! Play board-games with friends and soon-to-be-friends as well as some of the friendly staff at Modern Myths! It’s a great night to try out something you may have been meaning to check out! We really recommend Istanbul or Photosynthesis if they’ve got those. Chill, entertaining games of friendly competition. We suppose this is some sort of competition to see who can age the slowest? The Pioneer Valley is a fascinating place. Rules are: 750 pts. + 150 reinforcements, 3 rounds, 75 minute rounds, break for pizza lunch between rounds 1 and 2. The $15 entry fee includes pizza! The event is open to all skill levels and experience, new players are always welcome! Dr. Gretchen Gerzina, the author of ‘Mr. and Mrs. Prince’ will speak about the research she did in writing her historical narrative about two slaves who met and married in Deerfield, MA before eventually freeing themselves. Writers of picture books, middle grade, and YA books meet to read and get some feedback! The group is facilitated by following SCBWI guidelines but you don’t have to be a member to participate. From the site: “In cases that lead the team all over Vermont and nearby, Archer Mayor once again shows why his novels featuring Joe Gunther and the VBI team are among the finest crime fiction today.” Is… there really a Vermont Bureau of Investigation? Is that a thing? You get to eat some recipes from the memoir at this event! … all of these recipes sound extremely odd to eat at the same time but we are not going to judge you. Two-Fork Tuna on a Triscuit really doesn’t seem like it goes well with Jujyfruits and whatever Shmoo Sauce is. But, anyway, learn about Dr. Cohen’s life as a radiologist and also eat some food! A limited booster draft featuring the newest set: Iconic Masters! Use some of the most potent cards from Magic’s history to deliver a real high-powered draft! It’s a tournament with Swiss-style pairings and a hard cap of 16 players, so sign up early to get a seat! There’s a $50 entry fee, and every player gets at least one booster pack of Iconic Masters and you can win a lot more, as well as promo cards! Maybe you’ll get a … Black Lotus?! The holiday season is a time when a lot of people feel a ton of pressure to put themselves in really difficult situations! It’s hard for everyone and very few people are on board with our “Just stay inside and play video-games” method of dealing with the holidays. Learn how to practice supporting your emotional well-being during a real tough time of the year! Adulting 101 – Present the Best YOU to the World! Teens and young adults ages 14-22, get some tips on how to make good first impressions! Diane Massey of the Berkshire School of Etiquette will have a fun interactive session to help you get past the handshake. Here’s our hot etiquette tip: everyone’s impressed if you trade glasses with them, and never trade back. Just give people your glasses, and buy another pair later! They’ll remember that. Talk about your current projects, get some insight into your problems and help others, and then there’s a round-table discussion! This time it’s going to be about SEO, discuss your best and worst experiences making sure that our all-powerful compu-controllers at Google allow people to find you! Learn about how to use Drupal more effectively! Tips, talks, modules! Meet fellow users and talk about your experiences! Eat pizza! We assume this speech will just be him staring at the audience in mute horror as screens behind him play the 24-hour news channels. Ben of Clarkdale Fruit Farms will talk about everything apples! There’s also an apple tasting! It says it only goes until 7:30 but we assume this event will extend into the infinite future, as who can say they have truly finished explaining EVERYTHING apples? Join the Gray Divas for some music from Hawaii in these cold times! There’s also going to be oldies and jazz and some new stuff! Wait what’s this doctor they’re discussing? Why are people so interested in this doctor. Which doctor? Wait, doctor… whom? Anyway go hang out and watch Doctor Who and eat snacks, it’s a good time with cool folks! A creative bi-weekly discussion group for people ages 13-17! The goal is to publish an annual magazine featuring a wide variety of artwork, writing, opinion pieces, reviews, and much more! If you have interests you want to share, they want to help you share them! A half-hour of music that bounces from Shostakovich to Joplin, as all children demand! Dance, enjoy some beautiful music, and have a good time! A movie about a getaway driver who uses music to be the best in the game! A D&D club for players 8-12! You can become a member of this club by paying $50/mo. That gets you help with creating a character, a mini, a custom D&D session, and a set of dice! It’s the perfect way to play a fun game with friends! We recommend you play a bard. Actually everyone should play as a bard and you should be adventurers by day and a traveling band by night! A D&D club for players 8-12! Play a god trapped in mortal form so whenever you need to retire the character you can explain to everyone that actually you were the toughest and best all along, notwithstanding that time you rolled three critical fails and tripped over your armor into a lava pit. Play one of the classic RPGs at Modern Myths! New players are always welcome, and there’s a friendly crowd there every week! We recommend playing fast and loose, since it’s a drop-in drop-out game, so worst case you can come back in a few months with your bard’s ‘long-lost twin sister who’s also a dragonborn and much cooler’. Nerd Nite! Nerd Nite! The Best Nite! You’ll see Constance Hildreth present “My Skeleton is Full of Bugs!” about rigging errors in video-game animation, as well as Sanjiv Gupta giving a talk about “Socialism, the Radical Future of Capitalism”! PreviousWednesday Games at the Brass Cat Special Announcement!